WE WELCOME NEW PLAYERS to join the COZMO Ensemble and to participate in COZYMO’s Learning Groups. We aim to expand the COZMO Ensemble to a group of 20 to 25 players, and welcome additional mandolin, mandola and mandocello players, guitarists and bass players. To play in the Ensemble, you should have fair to good reading skills and playing technique and be able to express the rhythm and mood of the repertoire. Participants in the Learning Groups (Beginning and Continuing) may feed into the Ensemble as their skills develop. Once you have visited COZMO at rehearsal and played with the ensemble (up to three times without obligation) and you decide you’d like to join, click here to apply: COZMO Membership Form. Before you do, check out the information below about what we do – the COZMO Ensemble and the COZYMO Learning Groups (links to info sheets are below). Click here for a one-page info sheet (PDF) about COZMO: Info about COZMO. It introduces the COZMO ensemble and what we do. Click here for a one-page info sheet (PDF) about COZYMO: Info about COZYMO. It introduces the COZYMO Learning Groups and what we do. If you would like to participate, contact the Secretary to book, and complete the Participant Registration Form – COZYMO participants. These provide a handy reference for prospective and new ensemble members and learning group participants. More detail is available below. Are you a proficient player? Do you read music? Do you play mandolin, mandola, mandocello, classical guitar, bass guitar, double bass or electric bass at intermediate or higher level? 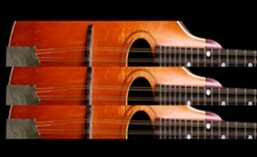 Do you want to have fun playing in a mandolin ensemble and further develop your ensemble skills? Would you like to experience playing in a massed ‘Zupforchester’ drawn from Zupforchesters around Australia and New Zealand? * If so, the COZMO Ensemble may be for you. COZMO meets weekly for rehearsals during school term time. * FAME (Federation of Australasian Mandolin Ensembles) runs a Mandolin Ensemble Festival every 18 months in a capital city in Australia or New Zealand – the Sydney FAME Mandolin Festival has just been held (5-12 July 2015), attracting mandolin, mandola, mandocello, guitar and bass players from all parts of Australasia. Keep an eye on the FAME website for information about the next FAME Mandolin Festival, sue to be held in January 2017. Prospective new ensemble members are invited to contact COZMO first, to arrange to come along to up to three of our rehearsals, initially to listen and/or to join in playing. Just introduce yourself to the Musical Director Col Bernau before each rehearsal starts, to let him know you’re there and what you’d like to do (listen or participate). Col will need to hear you playing in the ensemble on at least one of those three visits, to determine whether COZMO is the appropriate group for you, and you can use those three visits to decide whether you’d like to join. The MD may then invite you to join or you may indicate a wish to join. After you have completed and emailed a short application form to the Secretary, you’ll hear back from the MD within 7 days. Easy and fun! Are you a music student or a ‘casual’ player? Have you had at least a year of lessons on your instrument – or equivalent informal playing experience, and have some music reading skills? Would you say your playing level is more than ‘beginner’ but not yet ‘intermediate’? Would you like to join a small orchestra or ensemble but feel that your music reading skills could do with a little work first? Do you play individually but haven’t been able to find other musicians – mandolinists, guitarists etc – to play with in an ensemble setting? Do you have an interest in playing but haven’t yet found a group to join? Regardless of your age, are you keen to start playing with others in a group? Would you like to further develop your playing technique and proficiency? Would you like to experience playing in a massed Zupforchester drawn from Zupforchesers around Australia and New Zealand (come to the next FAME Festival in January 2017!)? Whilst the COZMO Ensemble may not quite be for you yet, the COZYMO Learning Group (Continuing) may be just what you’re after! This Program will be offered each Semester depending on numbers. If sufficient enrolments at this level are received, the Participants meet weekly for a one Semester-length program of learning/playing sessions during school term time. We look forward to seeing LG (Continuing) participants progress to playing in the COZMO Ensemble within 1 to 3 Semesters or so (depending on your starting point). Contact COZMO now to book your place. Click here for fees. Are you a beginner? Regardless of your age, are you keen to start learning a mandolin-family instrument, playing with others in a group and learning some music theory? We would love to help you gain these skills! If you wish, you can then participate in the COZYMO Learning Group (Continuing) and progress to being a part of the COZMO ensemble. Contact COZMO to find out if the COZYMO Learning Group (Beginning) might be just the thing to help you get started on your musical adventure! We meet weekly for a one Semester-length program of learning/playing sessions during school term time. Contact COZMO now to book your place. Click here for fees. Mandolin orchestras in Australia e.g. WAMO (West Australian Mandolin Orchestra) in recent years, and overseas for many years, have established learning and training groups to assist newer players work towards entry into the main orchestra. This ‘two-tier’ strategy has proven to be of great benefit not only to the training group members but also to the main orchestras, who grow with the addition of ‘graduating’ training group members bringing good instrumental and ensemble skills with them, acquired in the training group. It’s never too late to learn! In 2011, WAMO embarked on a program to encourage beginners to take up the mandolin or guitar, with the aim of joining the orchestra down the track. By the end of 2012 they had a number of mature-age beginners ready to join the orchestra. In August 2012, COZMO introduced its Learning Groups program to encourage beginners to start and others to continue to play the mandolin or guitar (or mandola or mandocello, if interested). A number of Learning Group graduates are now members of the COZMO ensemble! Since starting in the WAYMO and COZYMO programs, players have been learning from music teachers and ensemble players and have been practising performance in a small training ensemble. As new ensemble members, the instrumental and performance skills gained and the new challenges of playing in an orchestra, will ensure their further progress and playing enjoyment. So, regardless of your age or lack of previous experience, it is never too late to learn! Click for information on: Lessons and Teachers, Instrument Hire/Buy and Fees – Members and Participants.